American soldiers view the bodies of dead prisoners at Ohrdruf. Source: General Dwight D. Eisenhower’s letter to General George C. Marshall dated April 15, 1945. As the Allies advanced across Europe, they encountered and then liberated Nazi concentration camps and the inmates they found there. Despite the efforts by the Germans to hide or destroy evidence of mass murder, many camps remained intact and still held significant prisoner populations. After Soviet troops liberated Majdanek in July 1944, they proceeded to liberate camps throughout Eastern Europe, including Auschwitz in January 1945. Coming from the west, United States forces liberated Buchenwald and Dachau in April 1945 and the British liberated Bergen-Belsen that same month. The liberating units encountered deplorable conditions in the camps, where malnutrition and disease were rampant, and corpses lay unburied. The soldiers reacted in shock and disbelief to the evidence of Nazi atrocities. In addition to burying the dead, the Allied forces attempted to help and comfort the survivors with food, clothing and medical assistance. Though official reports were prepared at the time of liberation, individual soldiers often did not record their impressions of the camps until many years later. 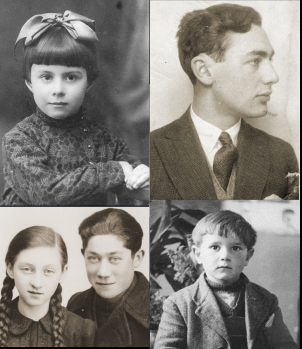 These accounts, recorded in the form of official unit histories, personal statements, and oral testimonies, provide an important resource in the study and understanding of the Holocaust. The following bibliography was compiled to guide readers to materials on Allied liberating forces in the Library’s collection. It is not meant to be exhaustive. Annotations are provided to help the user determine the item’s focus, and call numbers for the Museum’s Library are given in parentheses following each citation. Those unable to visit might be able to find these works in a nearby public library or acquire them through interlibrary loan. Follow the “Find in a library near you” link in each citation and enter your zip code at the Open WorldCat search screen. The results of that search indicate all libraries in your area that own that particular title. Talk to your local librarian for assistance. Reviews the experiences of American soldiers involved in liberating the concentration camps and examines the long-term emotional and psychological impact of those experiences. Describes the soldiers' responses to the camps, both at the time and years later, and the difficulties they had after the war dealing with what they had seen. Based on liberators' responses to a detailed questionnaire, the oral histories and personal papers of approximately five hundred World War II veterans, and on original military documents. Includes a detailed bibliography. Collection of essays highlighting issues related to the liberation of Bergen-Belsen. Includes a brief history of the camp, accounts of the conditions at the camp at the time of liberation, an overview of the medical treatment provided by the liberators, and discussions of the role the camp has played in British public perception of the Holocaust. Examines the events in five concentration camps during the weeks immediately prior to the arrival of Allied troops. Provides detailed accounts of liberation from both prisoners and soldiers of liberating units. Includes photographs, an annotated bibliography, and an index. Describes the weeks leading up to and following the liberation of the Dachau concentration camp by American troops in April 1945. A collection of articles, photographs, newspaper reports, and personal testimonies documenting the liberation of the camps and the immediate aftermath. Includes descriptions and images from liberating troops of numerous concentration camps. Documents the liberation of the Westerbork transit camp by the South Saskatchewan Regiment of the Canadian Army. Includes a detailed chronology of events, as well as photographs, maps, excerpts of soldiers’ diaries, a glossary, and an index. Reprint of the original report published just weeks after the arrival of American troops in 1945. Provides a detailed description of conditions at the camp at the time of liberation, as well as initial reactions from American military investigators. Also includes a translated excerpt from the diary of Edgar Kupfer-Koberwitz, kept while he was a prisoner at the camp. A companion book to the documentary of the same name detailing the involvement of the 761st Tank Battalion in the Second World War, the first African-American armored unit to see combat. Asserts that the 761st liberated Dachau, Buchenwald, and Lambach, and provides first-person accounts by members of the battalion recalling their views of the camps. Also details the battalion's training and battle experiences interspersed with stories of the racial discrimination they faced. Opens with a history of African-Americans in the United States military from the Revolutionary and Civil Wars through World War II. Provides a historical overview of the liberation of Bergen-Belsen as well as a description of the efforts by British medical personnel to control the typhus epidemic in the camp. Considers the reception of news reports describing camp conditions along with the efforts of the British government to establish and administer the displaced persons camp established on the site. Includes an extensive bibliography and an index. Compilation of essays that consider the history of the Bergen-Belsen camp. Discusses various aspects of the liberation, such as the role of women in the relief efforts, the establishment of a displaced persons camp on the site, and the interaction between French prisoners and British soldiers. An hour-by-hour account of the liberation of concentration camp Dachau, based on numerous interviews with former prisoners and the American soldiers who liberated them. Includes over 20 photographs and a glossary. Provides a day-by-day account of the liberation, interspersed with eyewitness accounts from liberators and prisoners. Includes an appendix listing the death rates of prisoners suffering from typhus, malnutrition, and exhaustion in the days after liberation. Includes endnotes, a bibliography, and an index. Explores the historical accuracy of the documentary Liberators, challenging some factual elements in the film and offering evidence that the 761st Tank Battalion was not actually involved in the liberation of Dachau or Buchenwald, as the film declares, but did help liberate Gunskirchen, a sub-camp of Mauthausen. Based on conversations with survivors, archival experts, and members of the units in question. Detailed exploration of the events surrounding the abandonment of the Auschwitz camp complex by the Nazis and the arrival of Soviet Red Army troops. Describes the forced evacuation of prisoners from the camp and the destruction of incriminating documents by the retreating troops. Conveys the experiences of Jewish-American soldiers during the liberation of Nazi concentration camps and the continuing involvement of Jewish soldiers with survivors after the war. Sets the liberation in historical context, presents the varied reactions of the liberators, and describes the immediate aftermath of the discovery of the camps. Includes over fifty eyewitness accounts and numerous photographs. Based upon an exhibit at the National Museum of American Jewish Military History. Recounts the story of camp liberations as American soldiers and other eyewitnesses, such as General Eisenhower, Joseph Pulitzer, Meyer Levin, and Margaret Bourke-White, experienced them. Includes photographs and an index. The Proceedings of the First International Liberators Conference held in Washington, D.C., in October 1981. 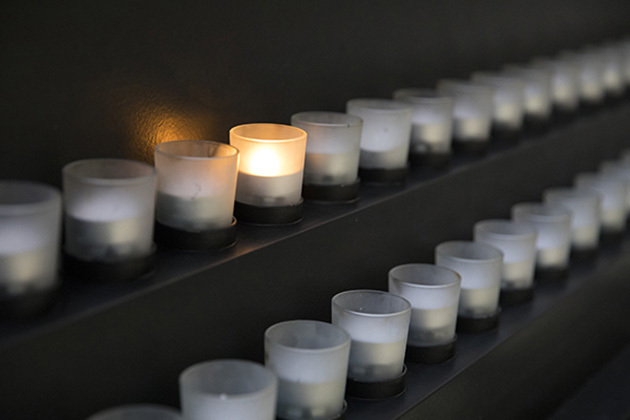 Collects eyewitness accounts and testimonies regarding the liberation and conditions of the Nazi concentration camps, including reports from soldiers, medical personnel and clergy. Includes photographs, glossary, and an index. Contains excerpts from oral testimonies about the liberation of the following concentration camps: Ohrdruf, Vaihingen, Nordhausen, Buchenwald, Salzwedel, Gardelegen, Landsberg, Dachau, Gunskirchen, Mauthausen and Gusen, and Wöbbelin. Created as part of a project to document the immediate reactions and impressions of enlisted men at the time of liberation. Includes numerous photographs. Collects accounts of the liberation of Bergen-Belsen written by soldiers, prisoners, and relief workers. Also includes descriptions of the displaced persons camp established on the site and reports from the Belsen war crimes trial. Offers a personal account of the liberation of concentration camp Dachau by the 42nd and 45th Infantry Divisions on April 29, 1945. Written by a journalist who was among the liberated prisoners. Booklet produced to accompany a 1991 exhibit at the Imperial War Museum in London about the liberation of Bergen-Belsen. Presents dozens of personal accounts from both liberators and prisoners, as well as numerous photographs. Includes a detailed chronology of events surrounding the liberation. Includes first-person accounts of two soldiers: Clinton C. Gardiner, who was present at the liberation of Buchenwald; and Irving Lisman, an ambulance driver who was among the first to enter the Dachau camp as a member of the 42nd Infantry. A first-person account of the liberation of Dachau by an Army medical officer, part of a team sent into the camp immediately after liberation. Provides detailed descriptions of camp living conditions as well as medical treatment provided by U.S. soldiers. Liberated Falkenau an der Eger (Flossenbürg subcamp), May 7, 1945. Liberated Leipzig-Schönefeld (Buchenwald subcamp), April 14, 1945 and Spergau (labor education camp), April 17, 1945. Liberated Dachau subcamps, April 28-29, 1945. Liberated Wöbbelin (Neuengamme subcamp), May 3, 1945. Liberated Gusen (Mauthausen subcamp), May 5, 1945. Liberated Dinslaken (civilian labor camp), April 3, 1945. Liberated Kaufering camps (Dachau subcamps), April 30, 1945. Liberated Dachau, April 29, 1945. Liberated Kaufering camps (Dachau subcamps), April 29-30, 1945. Liberated Flossenbürg subcamp, April 20-21, 1945. Liberated Leipzig-Thekla (Buchenwald subcamp), April 19, 1945. Liberated Gunskirchen (Mauthausen subcamp), May 5-6, 1945. - McMahon, Gerald. A Corner of Hell: A Military History Report. Fairfax, VA: Yaderman Books, 1990. (D 805.A8 .M43 1990). Liberated Buchenwald, April 12, 1945 and Ebensee (Mauthausen subcamp), May 4-5, 1945. Liberated Langenstein (Buchenwald subcamp), April 11, 1945. Liberated Ahlem (Neuengamme subcamp), April 10, 1945 and Salzwedel (Neuengamme subcamp), April 14, 1945. Liberated Attendorn (civilian labor camp), April 11, 1945. Liberated Ohrdruf (Buchenwald subcamp), April 4, 1945. Liberated Flossenbürg, April 23, 1945. Liberated Werl (prison and civilian labor camp), April 2-8, 1945. Liberated Dachau subcamp, May 3-4, 1945. Liberated Landsberg (Dachau subcamp), April 27, 1945. Liberated Dora-Mittelbau, April 11, 1945. Liberated Buchenwald, April 11, 1945. Liberated Halberstadt-Zwieberge (Buchenwald subcamp), April 12-17, 1945. Liberated Gusen (Mauthausen subcamp), May 5, 1945, and Mauthausen, May 6, 1945. Liberated Dachau subcamps, May 2-3, 1945. Liberated Landsberg (Dachau subcamp), April 28, 1945. Offers first-person accounts of the Holocaust by survivors, a rescuer, and liberators of Mauthausen and Dachau. Note: Tapes three and four feature interviews with liberators. Recounts the liberation of the concentration camps through testimony of soldiers from Poland, Russia, Britain and the United States. Features eyewitness accounts of the liberation by Holocaust survivors and liberators who speak of their experiences, feelings, and reactions at the time. Contains all the footage taken by Soviet photographers in January and February 1945, shortly after Auschwitz was liberated. Soviet cameraman Alexander Vorontsov shares his impressions of the liberation. Chronicles the personal accounts of the soldiers who first entered the concentration camp at Dachau in April 1945. Present-day interviews with veterans are interspersed with footage of what they found in the camp. Tells the story of African-American units in the Second World War, focusing on the actions of the 761st Tank Battalion, which the producers assert helped liberate the concentration camps at Buchenwald, Dachau, and Lambach. The Library also has the companion book bearing the same title. American veterans who were among the first troops to enter the Nazi concentration camps relate their memories of that experience. Includes graphic archival footage of the camps. Focuses on the liberation of the camps by Allied Armies in 1945. Captures the emotional reunions of survivors and liberators at the First International Liberators Conference and explores the memories of those who survived the Holocaust and the men and women who liberated the camps. Includes captured Nazi footage and still photographs from personal archives. Jewish GIs who were members of liberating units relate their experiences of encountering the concentration camps. Focuses on the liberation of the camps as told by four liberators from different branches of the armed services. Includes archival footage. Provides a brief overview of the activities for each Army division active during World War II. For more detailed combat histories, see the Order of Battle (external link) for the European Theater of Operations during World War II, also provided by the Center of Military History. Describes the ways in which the United States Holocaust Memorial Museum has honored those American army divisions recognized as liberating units by the Center of Military History and the Museum. Provides information about the recognition process and links to articles about each of the 35 recognized liberating divisions. Presents archival film footage held by the Steven Spielberg Film and Video Archive at the United States Holocaust Memorial Museum taken shortly after the liberation of various camps, including Auschwitz, Dachau, Mauthausen, and Bergen-Belsen. Ask at the reference desk to see the subject file labeled World War, 1939-1945--Concentration camps--Liberation containing newspaper and periodical articles.